Three Points Automotive in Pflugerville, TX 78660 is a full-service preventative maintenance and auto repair center, providing comprehensive car care services for your domestic or import vehicle to keep it running at full power. For questions, contact us at 512-990-0167 or send us an email, and our experts will help determine what needs to be done. No one likes to see their car's "Check Engine" light come on. The light could mean a costly problem, like a bad catalytic converter, or it could be something minor, like a loose gas cap. At Three Points Automotive, we can pull the code and diagnose the problem for you. Give us a call at 512-990-0167 or stop by the shop for our expert assistance. Automotive and auto parts come with a factory recommended service and maintenance schedule. The manufacturer will tell you how often to service or replace an auto part. At Three Points Automotive, we offer factory recommended service/maintenance. Our highly skilled auto mechanics offer comprehensive knowledge and experience. At Three Points Automotive, all your factory recommended service/maintenance needs are handled with the latest diagnostic equipment. Remember, we work on all American and imported vehicles (either diesel or gas engines). 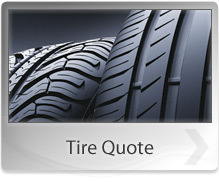 Three Points Automotive provides a multi-point courtesy check for our customers. Ask us for details. To keep running smoothly, your car highly relies on oil, lube, and oil filters. Oil helps in lubricating, cooling, and cleaning the internal engine components. With time, motor oil becomes contaminated. Your car needs an oil, lube, and filter change every three months (or 3,000 miles). When it is time for a lube, oil, or filter change, take your vehicle to Three Points Automotive in Pflugerville, TX 78660. Our Vehicle Service Inspection (VSI) is a 50-point inspection! Ask us for details.